Liz Covart has a post on her blog called “How to Write for Your Readers,” which is effectively a post about “How to Write for Readers Beyond Your Colleagues and their Students.” She points out that journalists are very effective at writing history books that people actually buy and read. They’re eating our lunches! History books written by journalists tend to be more popular than those written by professionally-trained historians because journalists write them to reveal history in a way that readers want to discover more about it. In contrast, professionally-trained historians tend to write books that emphasize argument. Historians present the main topic of their book in a way that supports the case they are trying to make. Our books tend to be more about argument than story. This is all good advice, but I think the issue of journalists who write books that people buy versus historians who write books for other historians is oversimplified, and ignores the question of resources, platforms, and marketing that work to the advantage of the journalists who write a history book or two. Commercial publishers want to publish books not to help obscure writers make a name for themselves; they want to publish books by people who are already well-known because they think (rightly!) that a journalist with a prominent perch at a national newspaper or (better yet) who regularly appear on television will help them sell more books. Think about it: is David Brooks really our nation’s greatest philosopher of the virtuous and fulfilling life? Or does his publisher think that his book will sell better than an equally good or even better-written book by an obscure philosophy or religious studies professor? Brooks has some writing skills, but he’s a shallow thinker and often a muddled writer too. His greatest asset as an author is his occupation of some of the most valuable legacy newspaper real estate in the country. Secondly, many of these journalist-historians aren’t doing their own research, and some may not in fact have done much of the actual writing of the books. (This is likelier the more prominent and more television exposure the journalist-historian has.) In other words, many of these bestsellers are bestsellers because publishers pour resources into the creation and marketing of these books that most professional historians can only dream of–and it’s not because we’re all poor writers who don’t know how to tell a story. The book I’ve just completed, The Many Captivities of Esther Wheelwright (Yale University Press, forthcoming 2016) will be published as an academic-trade crossover because Yale thinks it will sell to a variety of audiences, which was one of my goals all along. It’s based on the life of Esther Wheelwright, an eighteenth-century woman who lived in three major North American cultures–born into an Anglo-American family in Massachusetts in 1696, she was taken captive by French-allied Wabanaki at the age of 7 in 1703, and then was brought over the border at age 12 and enrolled in the Ursuline convent school in Québec. Esther declared her interest in becoming a Choir nun at the age of 14 and lived the rest of her life in the monastery, becoming the only foreign-born Mother Superior in the order’s nearly 400 year history. 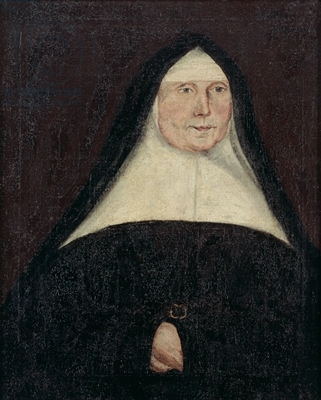 Quite significantly, she was elected in 1760, the year after the British conquest of Québec, and provided strong leadership in a time when French Canadians didn’t know if they would be permitted to remain in their own colony or permitted to practice their religion. My book is a radical experiment that only a professional historian would attempt–can we recenter early American history not just on women’s history, but on the experiences of a little girl and a woman who forgets how to speak English by age 10? How much farther from the so-called “Founding Fathers” can we get? The books written by journalist-historians in my field, by contrast, tend to be just-so tales about the Lifestyles of the Rich and Famous in eighteenth-century Anglo-America. Instead of looking for an exciting story that had lots of sources to help me tell it, I took the more difficult path, one perhaps only open to professional historians, to tell an exciting story in the absence of a rich archive. But what I bring to this project that no journalist has is twenty-plus years of researching and thinking about early North American history–Anglo-American history, Native American history, French Canadian history, and women’s history. Most exciting for me, I got an advance for this book that is a real commitment from the press to market my book aggressively, as it will need to make that money back on book sales. I didn’t know some university presses could or did offer advances like the one I got. (It won’t buy me a semester of leave from my job, but it could buy me a nice car, or take the family on a very nice extended European vacation, which is probably how I’ll spend at least part of the dough next summer.) After years of laboring in obscurity and waking up at 4 a.m. to write while working my day-job, that was a very nice surprise. But enough about me–I and my book are just one example of how professional historians are trying to take the best of our training and also think seriously about writing for an audience beyond our colleagues and graduate seminars. I’d like to hear from the rest of you about what you make of all of this–bestsellers versus academic writing; journalist-historians versus professional historians; and commercial trade presses versus university presses. How do you see the rest of your writing life unfolding, at least in the next five or ten years? It really is a testament to your research and writing skills that you were able to get Esther’s story placed as a crossover book. And there are so many good stories out there besides the Founding Fathers. Trade publishing is a different kind of tricky than academic publishing. My first two books were with academic presses and if I hadn’t written those, my third wouldn’t be forthcoming from Oxford trade. The hard part was focusing on story rather than argument, though I have to say I have really come to prefer the story. Still, even if a historian finds a great topic, that’s only the beginning of the long road to trade publication. No matter how good the story, research, and writing, press editors will think about marketing, and yes, that’s where the Big Journalist Name becomes so important. It’s interesting that you brought up Cokie Roberts. When I teach the methods course for our history majors, I use one of her books to make the point that just because someone writes a book on a historical topic, it does not make them a historian. Since the methods class is about learning about arguments and evidence, I tell my students they cannot use secondary sources written by journalists. It forces them to consider the credentials of an author and what those mean for how the author wrote the book. HA! I don’t mean to ding Cokie, but she’s a very successful promoter of herself & so never demurs when people call her a historian. I should also have mentioned that the historian-celebrity currency, rather than writing for a prominent newspaper or appearing on TV (or both), is of course affiliation with a prestigious university, which usually means teaching at an Ivy or the like kind of private institution. While historians recognize History departments like Michigan or Wisconsin as among the very best in the nation, because they’re big public universities that prestige isn’t always visible or real to the larger book-reading public. Those of us (WE!) who teach at much less prestigious or more obscure universities have very few tools at our disposal to get our book proposals and draft chapters in front of a trade publisher or even a university press like Yale or Oxford who publish some trade or crossover books. It’s not the quality of our writing or our (in)ability to tell a story–it’s largely dependent on the cultural capital and connections that you have. Would you be comfortable talking about the process by which you managed to get your book in with Yale’s trade branch? There are probably many of us (WE!) who think we have great stories in our sources and would love to put them in front of a wider audience, but the academic publishing manuals/conventions don’t tell you how to do that. The only other people I know who’ve managed it are either very famous or people with earlier careers in publishing and/or agents. YES, Ellie–I will tell you all about it, but I think 90% of it has to do with luck rather than A Plan. I’ll tell the whole story in a follow-up post this week–stay tuned! It’s a funny story that also involves a little bit about an agent and how I got dropped like a hot rock by one! Congrats on the book AND the advance. I have read (listened to?) more than one Cokie Roberts book and by no stretch of the imagination is she a historian–more like NPR “Here are some fascinating facts if you know nothing about history” pieces, if you get my drift. I am looking forward to your book. There’s a short piece in my book (also forthcoming in 2016) that is two intertwined narratives of real people, and I’m looking forward to doing more of that kind of writing–not deep history, as you are doing, but from the perspective that I can bring to it. Congratulations on the advance! Money really does mean something. And Esther’s story is such a great way in to a very different world. I think you are right that you are able to take different risks and tell a different story. Because if you are a professional writer, you will to some extent follow the formula for what ever you do. Because that’s how you earn a living. In my field the equivalent to your founding fathers are the kings and queens…lone of my best articles was my answer to why I didn’t want to write about Elizabeth I. Because she’s the only woman in early modern England. HAha. I like that article, Susan! But your article’s success points to the reason why journo-historians gravitate to the already-famous–they don’t have to make a case for their subjects’ importance. They don’t have to work that hard at all, esp. if following the Lifestyles of the Rich & Famous formula. I review history books for Publishers Weekly, and although I haven’t done a statistical analysis, my impression is that a lot of these are written by journalists, celebrity or not. Again, not to ding Cokie Roberts, but I’m pretty sure if she decides she wants to write a book about the Founding Mothers, she will be able to get it published (and has) much more easily than I would. Yet the same is probably true of Jill Lepore. Yes, capital and connections. But if most historians have to work harder on the story aspect, I think you are so right about what makes the historian’s work richer: all of those years of reading and studying about a particular time and place. It’s the difference between a can of soup heated up in minutes on the stove and the homemade batch that has simmered for days. I went down a weird and winding road in publishing after many years languishing, focused on keeping my head above water with Autistic Youngest and teaching. I came back to writing through popular culture, sometimes analyzing these subjects in purely academic terms, sometimes for popular audiences. I’ve published a lot in the last five years and I’ve had the great fortune to work with excellent editors, both academic peers and professionals in the publishing world. God bless the editors and anyone else who helps you to improve your prose, clarify your language and invigorate your argument. I get really annoyed with people who become defensive about their prose. Most people are offering sincere suggestions for improvement so don’t let ego get in the way of making your work better. I’m impressed that you’ve garnered that sizable of an advance from Yale. They must have real confidence in your book. (To be honest, I’d have confidence, too. You’re a good writer and you’ve shown that this is a fascinating subject, just through your posts about the research process.) I can say with the voice of experience that even popular history books with impressive sales figures don’t always make back their advances. And don’t get me started on the heartbreak of having an amazing book become a publishing orphan due to division sales and disinterest. Makes me cry. . . .
Janice, you’re one of my role models for amazing mid-career turnarounds! And I agree with you on editors and prose-doctors: how I wish I had one for this blog. I’m all for, and I’d like to think all *about*, storytelling within the scholarship part, and even muting the argument part. Without argument, you can’t have historiography, the subject of a recent post. But you can develop enough confidence in your ability to put the argument everywhere, which is another way of muting it, instead of the formulaic “I argue” or “I contend,” uttered literally or virtually in every third paragraph, which is sort of the way it’s taught in graduate school now. Granted, dissertations *are* exercises, and thus necessarily and beneficially formulaic in certain ways, but there’s a whole lot you have to un-learn about that on the way to cross-over. Most people don’t like to be argued to, or at, even when they serve on juries, or maybe especially when they serve on juries. Trial lawyers have to ague, but the best ones figure out ways to make it seem like a new take on the Big Bad Wolf! Great points. Funny: when I read this comment through the first time, instead of “buffer,” I thought you wrote “butter,” which is a good way to think about the protective coating of money that an employer like the NYT can offer, vs. Beleagured State University, which is where most of us teach these days. Oh, I also wanted to add that my impression is that many of those journalist-historians are telling not only the story of people who are already well-known (founding fathers, kings, queens, etc. ), but also telling a version of the story that is relatively comfortable/familiar to readers. But university presses are different, and I can’t wait to read Historiann’s post about the deal she struck with Yale. Her success story really needs to be celebrated because it is a huge accomplishment for those of us without capital and connections to secure such a good contract. This is so interesting and helpful. I am working on my first book (the dissertation was more theoretical and just became articles; long story of course! ), which is a kind of “history through the lens of religious studies.” I wasn’t trained as a historian, so I am picking things up as I go along. I have a contract with the history division of a good press, but they have made it clear that this is NOT a crossover book but a monograph. One reader, who made incredibly helpful comments on my proposal, suggested that 15-20 percent of the word count should be footnotes. This is doable – I have done a lot of research – but I am anxious to tell the story and it’s hard to navigate how to do that while providing the proper scholarly grounding and complexity. The fact that it is already interdisciplinary makes it even more challenging, as I have to keep both RS people and historians of the region interested and happy. Congratulations on getting paid for your work! That’s fantastic. Most first scholarly books are monographs–but they needn’t be dull or poorly written monographs, right? While it’s true that first-time authors are at the mercy of their presses and readers’ suggestions for revision, in the end, it’s your name on the book. Remember that! This book is 1000x more important to you than to your publisher, editor, or any of your readers. I think it’s weird that you were given a formula by a reader for a % of words in footnotes. Did s/he not think you had fully documented your research or credited others in your field/s? (Was that a suggested MINIMUM or suggested MAXIMUM for you?) If they think you need more stuff in the notes, that’s your solution to telling a story in a scholarly book: put the historiography & academic debates in the f/n, and tell the story in the main text. Scholars in your field will know which ideas or controversies you’re alluding to–those readers can follow-up in the notes if they want to. Others don’t have to be bored by them if they don’t want to know. It was a suggested minimum. I think the issue was that my sample chapter was on one of my main subjects; it’s the last chapter and looks at a portion of his diary that is not yet in English. So most of it was my translation and analysis of his thought during a particular period. There will be several chapters that provide a context for this one, and that’s where I’ll be talking about other historians’ work on this period (practically no one has talked about this guy). I didn’t disagree with the suggestion overall – in fact the chapters in the first half of the book probably would have wound up with that many notes anyway – but I was struck by the specificity. The note that this book is 1000 times more important to me than to my readers is a good one; I’ll be sure to remember that as criticism starts rolling in from various colleagues on my draft chapters, and later from readers on the manuscript. Along those lines, let me ask: do you recommend approaching scholars you have never met, or only know very slightly, to get feedback on your manuscript before it goes off to the publisher? And if so, what’s the best way to do this? I am planning to do this with a few people and have gotten a few “introductions” (e.g., someone I met says, I know Dr. X and he knows something about this, maybe you should get in touch with him). Since I’ve made this interdisciplinary move, I don’t have the grad-school network to rely on, and am finding the met-once-or-twice-at-conference network more challenging to navigate. I wouldn’t ask someone who’s neither a close friend or colleague nor a paid reader of the ms. for the press to read my entire book. I think that’s way too much, and moreover, if you think they’d be sympathetic readers, you’re crossing them off the list of people who could read the mss. for a press or review the book in a journal once it’s published. I do think that asking for advice on a specific issue that jibes with their scholarship in an email is fine; but I don’t think I’d ask for feedback on a whole chapter. Most of these proffies have students of their own & may already be advising a number of dissertators–and you don’t want to be their student, you want to be their peer, right? A better way to get to know people you’ve only just met in a new field is to invite them to be on a panel with you. That way, you can share your work with them in an organic way. Frequently panels make plans to have lunch or dinner before or after the panel, another nice feature of conferencing and paneling. Thanks for replying! Another historian just gave me exactly the opposite advice (i.e., go ahead and ask, I’ve done it several times, it won’t hurt and could help a lot), so it’s good to know there are a variety of positions on this. The point that they wouldn’t then be able to review the book is important. I am definitely working the conference circuit as much as I can and trying to make connections with recent postdocs and anyone else who expresses any interest. This is super helpful and I really look forward to reading about how you approached Yale. I’ve got a book that began as the usual incredibly arcane academic monograph (“not just Canadian history, Canadian TAX history,” says my husband) but is showing some signs, now that I’m near the finish line, of becoming an original and readable reconsideration of Canada’s founding debates. I figured out a way to insert them into the new political history that is only really still new for Canadian political history. And it will come out in 2017, 150 years after Confederation, so there is at least potentially a public for it. But here in Canada, academic and trade audiences seem even more mutually exclusive than in the US and the trade standards may be lower than in the US. I’d love to know your advice on one point: would a better choice be a Canadian trade press or an American academic press? Not that I think Yale would want it; this is really just a curiosity question. It’s great to see Canada well represented on this blog and I’m really looking forward to reading and teaching your book but you largely have to write colonial history of Canada to get it before an American academic audience, with very little interest in postcolonial Canada. (There are some very honourable exceptions especially in women’s history but they remain exceptions.) Should Canadianists aspire to American academic presses? Ta. IOW, I think American presses tolerate Canadian history if it also includes a big dose of U.S. history. That’s not to suggest that you **shouldn’t** look for a U.S. uni press if that’s what you want. But first, like all authors, you need to think about your goals with this book and what you want to accomplish with it. Do you want a job with a U.S. university? If so, then maybe seeking out a U.S. publisher makes sense. Do you want a job in another Commonwealth country? Does a particular publisher have a specialization or series in policy history or comparative international policy or politics you could make a play for? I think you have to think about what you want this book to do for the next 10 years of your career. I’d love to hear from other scholars their advice on this too. You know who might know about this stuff, Elsbeth, is my pal Amani Whitfield at U Vermont. He’s a U.S. American with a Dal Ph.D. who writes about the Black Loyalists in Nova Scotia & also on slavery in Northern New England (in a new book on slavery in Vermont). He’d have better ideas than me about this–email me if you’d like an e-introduction to him. Add me to the chorus of folks looking forward to your post on crossover book contracts! In the meantime, I think there’s plenty professional historians can learn from the trade/journalist historians in terms of writing and storytelling. No matter what story they’re telling (even if the heroic Founding Fathers), trade history can be read for the writing tricks. I read books by Laura Hillenbrand and Erik Larson because if I read them through a writer’s eye, I pick things up. In Unbroken, for example, Hillenbrand has this great context-setting page that uses the Zeppelin flying around the world to remind readers what’s happening globally — all things a reasonably educated audience is going to know, like Lou Gehrig playing in NYC, Anne Frank as a kid in Amsterdam, Hitler coming to power in Germany, etc. It places the reader in the moment, uses material an audience will recognize *that is also connected to the story* and quickly connects back to the main character. All of us professional historians could strive for such easy-to-read context! That’s just one example, but I think a great grad writing seminar would read professional and trade histories alongside one another to think about both argument and craft, strengths and weaknesses, etc. Likewise, even pairing monographs with trade histories written by professional historians could be helpful. Michael Willrich makes a similar context move to Hillenbrand in *Pox* — setting the scene of turn-of-the-century NYC that’s a great model as well. What if we challenged one another — in grad seminars, writing workshops, external reviewer reports — to incorporate the best writing strategies, and give examples of what we mean. Great ideas here, R: I agree with you that trade books can certainly be mined for tricks we can use. That example from Hillenbrand is an excellent one. And I also agree that getting students to think about writing early on is certainly something we can do as teachers. I don’t teach in a Ph.D. program–our grad program is only an M.A. program–but the fact of the matter is that most of our grads go on to work as public historians, and what do most public historians produce at the end of the day? Reports! Or they’re writing summaries of their work and needing to present them to boards so as to justify further support for their work! And/or they’re writing grant applications to state and federal agencies! Stronger, better, more effective writing will help us all preach the gospel of historical literacy so much more effectively. 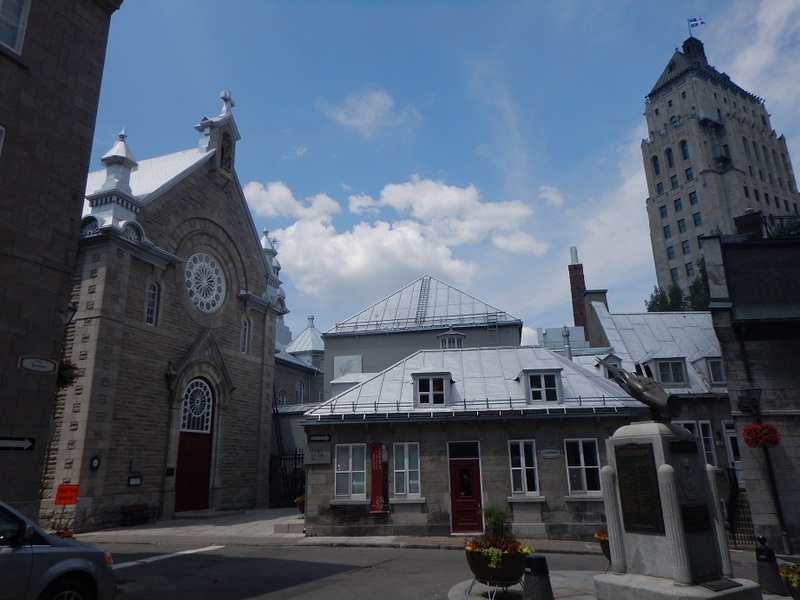 Last week while I was in Quebec, I reformulated a grad syllabus that I’m teaching this coming fall to include specific lessons in storytelling and getting students to think about the craft of history. We’ll see–maybe I’ll write a follow-up post on how that all worked out for the students at the end of the term. I read a lot of popular history; some more successful than others (and I tend to avoid ‘the grand and the good’ type biographies, and of course military history, which is something else altogether). However, I’ve found a lot of professional historians make bad popular history writers (although this has a bit of a caveat in that a lot of popular history writers have Masters or PhDs in history, even if they no longer (or never) work in the academy). And one of the main reasons is that professional historians dumb it down too much, often coupled with an inability to write as literature – almost as if popular history is scientific history writing minus the historiography and nuance. If you look at some of the prize-winning popular histories, they tend to couple beautiful writing (not beautiful scientific writing, but artful, literary expression) with good storytelling and historical nuance. They give people complex messy lives that are made meaningful through the historic context, not despite it. They know how to feed enough context to enable the reader to get the complexity, without requiring a PhD in the backdrop. It’s something we should be good at (given that we should be doing this for students), but surprisingly aren’t. And I think it’s because we think ‘dumb it down’, rather than recognising that this is a very different genre of writing with a different set of rules. This summer I read Helen MacDonald’s bestseller H is for Hawk (which has won a couple of awards now) and it is a model for a book by a (now ex-) academic, which is beautifully written, moving, fabulously researched and shows its working, and so smart. No dumbing down here at all. In my future, I think I have a popular biography, but I haven’t yet figured out what my voice should be to tell that sort of story. I’ve been reading about that MacDonald book–must get a copy for my next airplane trip! Thanks for the recommendation. I think you’re exactly right, FA, that it’s a difference of genre that some of us don’t seem to get. Jill Lepore hits that mark in nearly everything she writes–she’s so skilled at making arguments in prose that entertains as well. Figuring out your voice for a popular bio is exactly what you need to do! Jill Lepore is my idol. Relevant to all of this, to a degree, is the current coverage–especially in today’s NY Times, C1, C5–of the editorial crafting of the various interim versions of _To Kill a Mockingbird_, An unwritten book I would like to read now would be a big fat biography of Harper Lee’s editor at Lippincott, Therese von Hohoff Torrey (aka “Tay Hohoff, a small, wiry veteran editor in her late 50s…”), who brokered the book that became a classic, later it would seem also training Lippincott’s incoming Executive Editor and her own boss, Edward Burlingame. And where else would you learn, parenthetically, that the legendary editor Maxwell Perkins saved high school and college students 90,000 words per reading in Thomas Wolfe’s _Look Homeward Angel_, a collective saving of perhaps billions of hours of student time over the lifetime of that book! For what it is worth, last semester I used an article by you in Eighteenth-Century Journal as one of the article reviews for my Theory and Practice of History Class, and the class all said what they really wanted was to find out more about Esther. It’s worth A LOT, Brian! Thank you! Is there gonna be a book unveiling or whatever at Yale?